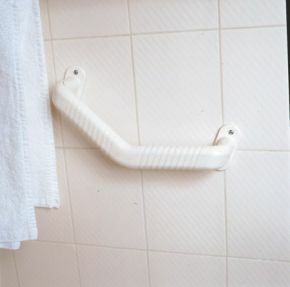 A grab bar which can assist the user in rising or lowering. The angled design can be used to support the forearm to give leverage and support, useful for those with a limited function. The profiled design gives a pleasant non-slip grip.